The death-sentencing rate per homicide in Caddo Parish, Louisiana was nearly 8 times greater between 2006 and 2015 than the rest of the state, making a parish with only 5% of Louisiana's population responsible for 38% of the death sentences imposed statewide. Caddo currently has more people on death row than any other parish in the state. Known as "Bloody Caddo," the parish had the second highest number of lynchings of any county in the nation. The Confederate flag flew in front of the steps to the courthouse until 2011 (pictured), where a monument to the Confederacy still stands. Inside that courthouse, 80% of defendants sentenced to death between 2010 and 2015 were Black, and no White person has ever been executed for killing a Black person in Caddo Parish. Caddo received national attention in 2015 when Acting District Attorney Dale Cox said he believed the state needed to "kill more people." Cox was personally responsible for one-third of the death sentences in Louisiana from 2010 to 2015. His controversial statements were in response to questions about the exoneration of Glenn Ford, a Black man convicted by an all-White jury, who spent 30 years on death row for a crime he did not commit. Ford's case illustrated many of the factors that have contributed to the overproduction of death sentences in Caddo Parish: racial bias in jury selection and the application of death sentences, inadequate representation, and official misconduct. A 2015 study by Reprieve Australia found that prosecutors used peremptory strikes against 46% of Black jurors, but only 15% of other jurors. 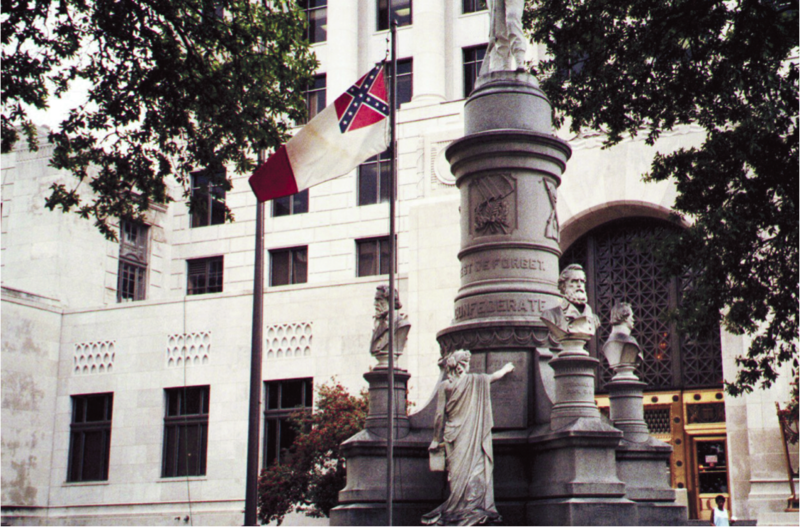 One Black prospective juror was removed from a jury pool in 2009 for objecting to the presence of the Confederate flag in front of the courthouse. Like Ford, who was represented by two appointed attorneys who had never represented a criminal defendant at trial, most Caddo Parish defendants have not received adequate representation. In the last decade, 75% of people sentenced to death in Caddo Parish were represented by at least one lawyer who does not meet recently-imposed standards for capital attorneys. Official misconduct, like the false police testimony in Ford's trial, has also contributed to the high number of death sentences in Caddo. In 2014, Dale Cox wrote a memo regarding the capital trial of Rodricus Crawford in which he stated that Crawford, "deserves as much physical suffering as it is humanly possible to endure before he dies." Crawford was convicted and sentenced to death for allegedly killing his infant son, despite medical evidence that the child actually died of pneumonia. Caddo prosecutors have a history of seeking death against the most vulnerable Black defendants: Lamondre Tucker and Laderrick Campbell were 18 years old at the time of their offenses and both had IQs in the intellectually disabled range; Corey Williams, who was 16 and removed from death row after being found to be intellectually disabled, is still serving a life sentence despite powerful evidence that his confession was coerced and that others committed the offense for which he was condemned. In November 2015, Caddo Parish elected its first Black District Attorney, James E. Stewart, Sr., who pledged, "to bring professionalism and ethics back to the district attorney’s office." ("Too Broken to Fix: Part I," The Fair Punishment Project, August 23, 2016; A. Cohen, "The Corey Williams Story," Brennan Center for Justice, December 17, 2015; A. Burris, "Prisoners sentenced to die by Caddo juries lingering on death row," Shreveport Times, November 18, 2015.) See Race, Innocence, and Prosecutorial Misconduct.